This has been a War of many writs, vigils, and elevations, as well as other joyous accolades. THL Ulrick von Schwarzburg is on vigil tonight (Wednesday) in Sable Maul Camp, then will be elevated to the Order of Chivalry on the Battlefield Friday morning before the Armored Wall Battle. 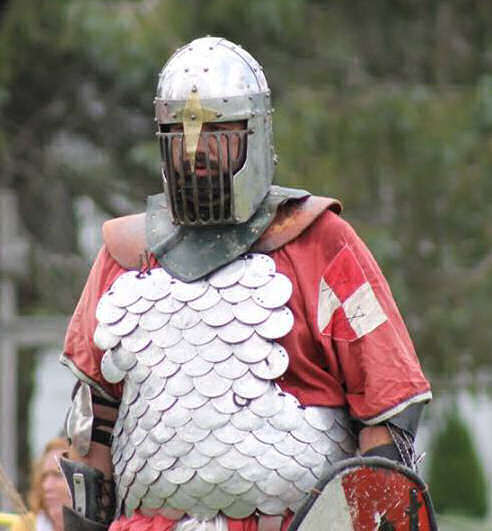 THL Tegrinus de Rhina also will be elevated to the Order of Chivalry, but the ceremony will be tomorrow (Thursday) morning on the Battlefield before the Allied Champions Battle. Baron Master Eric Grenier de Labarre was elevated to the Order of Defense Tuesday morning on the Battlefield before the Rapier Field Battle. 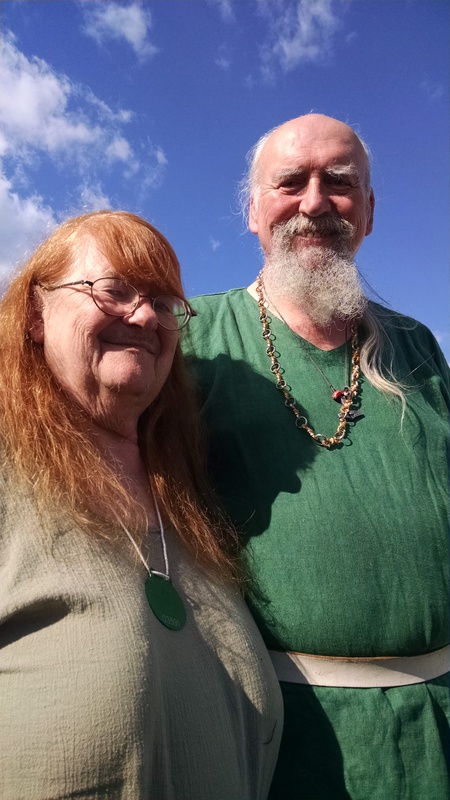 Baroness Mistress Anna Eisenkopf was elevated to the Order of the Pelican in AEthelmearc Court Tuesday night. Mistress Anna. Photo by Lady Amalie Reinhardt. 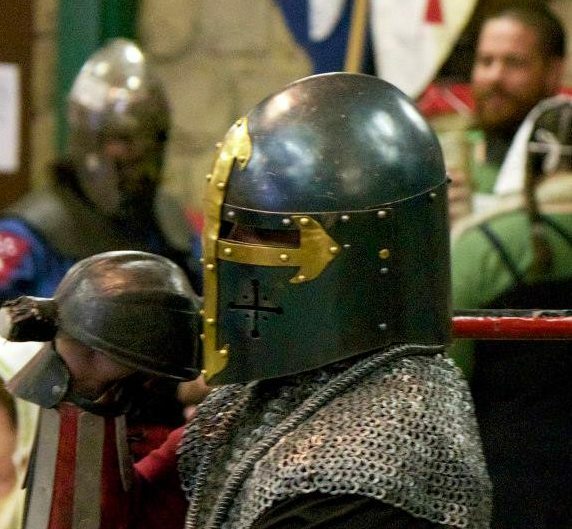 THL Rynea Ingen of Stormsport received her writ for the Order of the Pelican on Tuesday afternoon on the Battlefield and will be on vigil Thursday night at Runestone Watch camp. Her elevation will be at Coronation. Baroness Constance Glyn Dwr was given a writ in AEthelmearc Court on Tuesday for the Order of the Pelican. Her vigil and elevation will be during Their Highnesses’ reign. 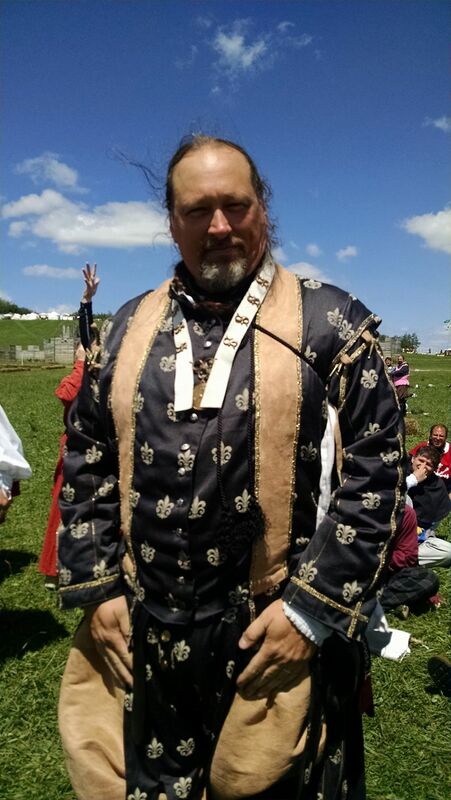 THL Thorsol Solinauga, who received his writ at Bog 3 Day/Investiture, will be elevated to the Order of the Chivalry at Harvest Raid. Baroness Mistress Elisabeth Johanna von Flossenburg, who received her writ at Pax Interruptus, will be elevated to the Order of the Pelican at Æthelmearc 20 Year. 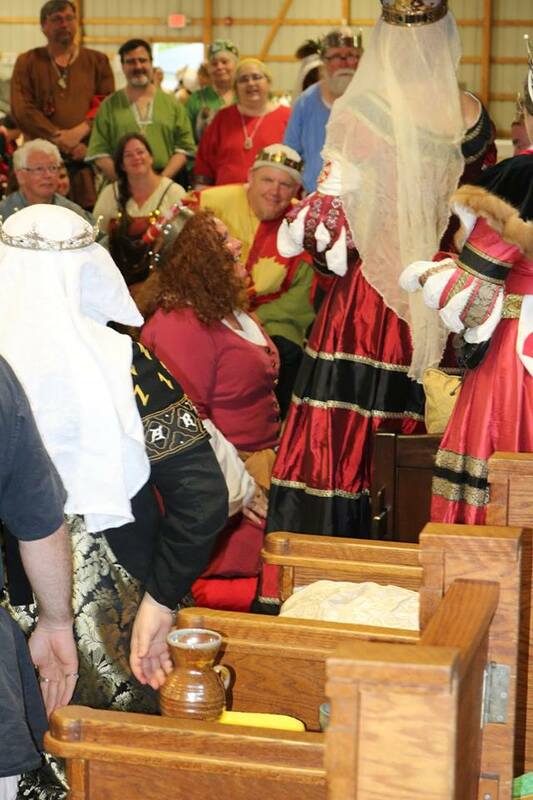 In addition, Their Majesties presented Augmentations of Arms to Sir Haakon Oaktall and Viscountess Eleanor of Waldren at his bardic night last week in AE Royal.